THE BACK STORY: The events are real. The characters are mainly real and often referred to by their actual names .Because these events really occurred , I was pressed to tell the stories of the events that I actually experienced in a romantic type setting. After my first book, I was asked for more, as well as after this one. “Came home after midnight. Thought to read for awhile and then sleep. I wanted to hate you but loved the book.” — Jerry L.
“Kept me reading page after page to see what was going on.” — Greg S.
“It reads like something by Mickey Spillane.” — Francie Q. 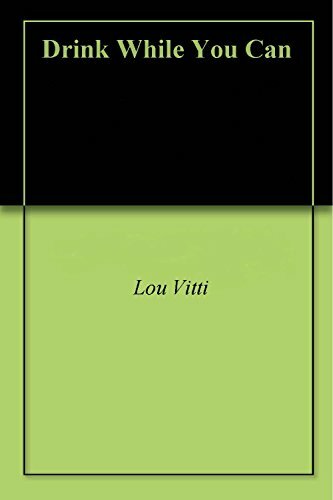 AUTHOR PROFILE: Lou Vitti has always been a street-wise guy who grew up in the middle of the Little Italy section and became a lawyer to represent most of the people that he already knew. He was always trusted by his connected clients and always gave his best effort to all clients. He still resides in Pittsburgh and still maintains his friends, although fewer are still alive. Most restaurant owners look forward to a visit from him and his friends. I headed back to my place . Bob’s comments about Joe Chic wandered through my mind on the way home. Jimmy Pi had made the same type remark. There was a lot of activity and I wasn’t the least bit sure if any of the dots connected. After putting the Corvette away for the week , I went upstairs to unwind for tomorrow. I made a small pot of espresso , Lit up a Corona Padron 1926 with a Maduro wrapper. I clicked on the television for the news and especially to see the weather.for the week , hoping that the weather prediction would have some relationship to what was really going to happen. Looked like a decent week . The Mirage trial would be over . I had several items to get off my calendar. Friday golf looked good. Then a breaking news story. Aren’t they always ” breaking “? This one was, however. A body found in the trunk of a car at the airport. They were working on repairs at the short term parking when a workman noticed the license plate was missing. It was parked too close to the area under construction and had to be moved. Closer investigation caused some concern and the security people called the local police. Body of a young female stabbed forty-six times. And how do the police know the count? Unfortunately , now we know where Allana had gone, and why she didn’t show up for work.